Building engineering, design and rendering software continue to get more sophisticated, but on the operational side the construction industry is not keeping pace with other sectors. Recent industry studies reveal where the industry is lagging, where it is at risk and the challenges it faces moving forward. 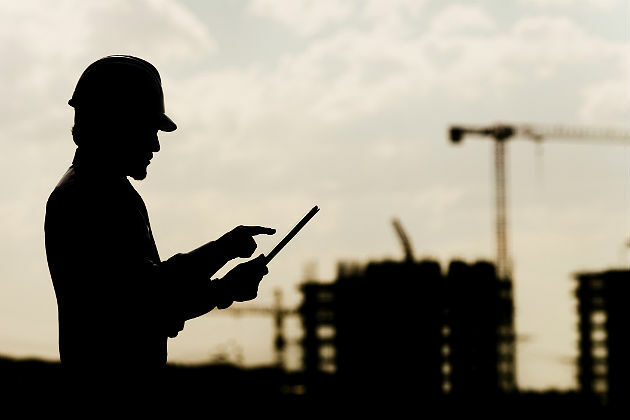 On the whole, the construction industry has been slower than others in integrating its systems and migrating technology and data to the cloud. In its third annual construction technology survey, technology consultant and solutions provider JBKnowledge found that employees continue to rely heavily on spreadsheet programs (such as MS Excel) to capture and share data. The proportion of respondents who said they used spreadsheets to transfer data between programs that do not integrate actually increased from 52.5 percent in 2013 to around 58 percent in 2014 — perhaps in part because the sample size for the 2014 survey was about one-third larger than in the previous year. "When we first conducted this market research in 2012, the question was whether companies — especially smaller builders — were willing to go paperless and in the cloud," JBKnowledge president James Benham said. "This year, the question is whether builders will go spreadsheet-less anytime soon." Most companies reported using cloud services for the initial stages of a project. Nearly 8 in 10 respondents said their company allowed data in the cloud for invitation to bid and plan room phases, and two-thirds allow data in the cloud for project management and prequalification. At the design and construction phase, however, cloud use drops considerably, to around 35 percent. A number of factors account for this drop, among them concerns about security and client confidentiality, licensing issues and differing regulations and policies in different countries. But, Benham notes, "the survey also reveals that most companies continue to lack the infrastructure to integrate mobile with desktop strategies." Another challenge for the industry is keeping up with the number of employees using their own mobile devices to take advantage of helpful apps. Although company policies place a high value on security and data protection, the survey found more than half of respondents use private mobile devices on the job. Of those devices, fewer than half have gone through a company IT security clearance. According to a Gartner report released earlier this year, IT spending in 2013 was 1 percent as a percent of revenue and 1.2 percent as a percent of operating expenses — last on both measures compared to the 19 other industries surveyed. The report also states that the industry spent $4,347 per user in 2013, the lowest across all industries surveyed and about one-third the average across all industries. Clearly, there is room for improvement. One area where some companies are investing is building information modeling (BIM), according to a report from McGraw-Hill Construction. The survey examined firms in major global markets, including investments in training, processes, hardware, software and custom 3-D libraries. The results showed that all eight potential BIM investments measured were considered a top priority by at least one-third (32 percent) or more of the contractors surveyed. The report notes, however, that BIM is still an emerging technology in many firms and countries. Curiously, when asked what emerging technologies their companies were exploring, respondents to the JBKnowledge survey mentioned virtual headsets, 3-D printing, augmented reality and drones. This finding tracks with a five-part, in-depth report published this spring by Building Design + Construction, which explored "how building teams throughout the world are utilizing advanced robotics, 3-D printers, drones, data-driven design and breakthroughs in building information modeling to gain efficiencies and create better buildings." While these firms are to be commended for embracing the technologies of the future, one has to hope that more firms will do more to assist their employees by catching up with the technologies of the present.